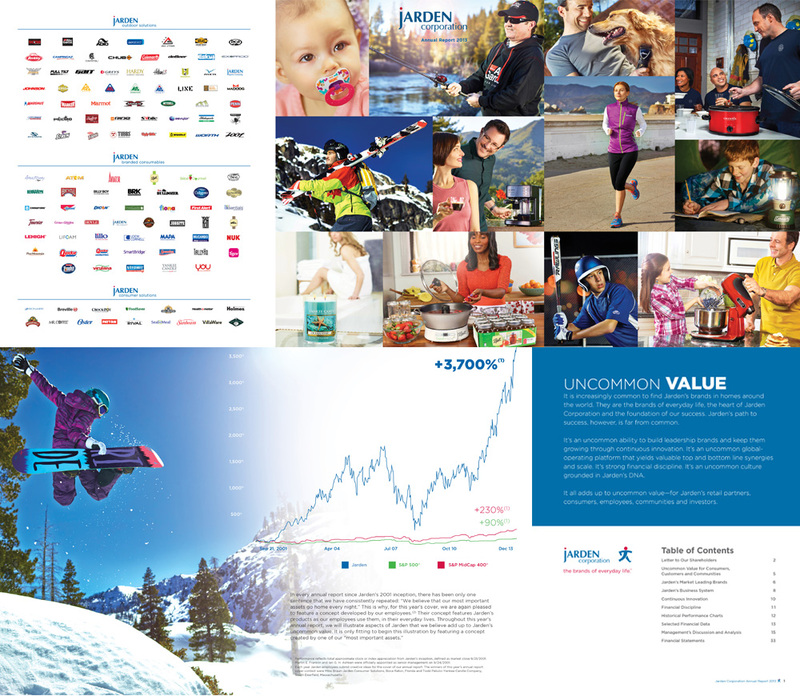 As a part of one of Octane’s strongest relationships, we collaborated with Jarden’s executive leadership to create a unifying message – Uncommon Value – and explored the impact of that theme throughout Jarden’s 2013 Annual Report. Octane produced a series of lifestyle photos to convey how Jarden products are the brands of everyday life, incorporating them into a double-gate fold cover in a wide variety of dynamic consumer experiences. With iconic images of everything from snowboarding to making coffee in the morning, we evoked the strength of the company through its brand reach. Octane made what can be an underwhelming book of charts and figures into a colorful, clever expression of what separates Jarden from the rest.